There is nothing worse than a cluttered home. It makes a clean home feel dingy even when its not, creates a feeling of chaos in your home and makes any space no matter its size, feel small. 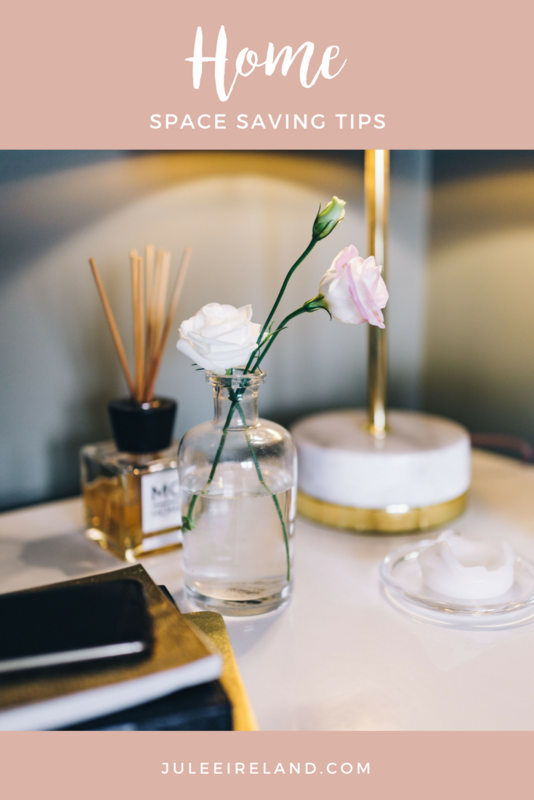 I thought I would share a few simple tips to help you save space and start decluttering your home at the same time! 1. The Family Room is usually one of the most used rooms in any home and it often becomes the dumping ground for magazines, newspapers, mail, blankets, television remotes and more. Try using an ottoman or chest with a storage compartment inside as a coffee table. It’s a great place to store items and keep your family room from feeling cluttered. 2. To create space for books, nick knacks and accessories in your family, living or sitting room use low bookcases along a sofa back to double as a sofa table with storage. Another great idea to take advantage of wasted space in a room is to use corner bookshelves. Here’s a design trick: If you take your bookshelves up to the ceiling it can make a short room appear taller because it instantly brings your eyes up and out. 3. To create storage for your movie night blankets in your family room or home theater use a wicker hamper as an end table and a storage space for blankets. You can also purchase spray paint from a craft store and easily paint them an accent color to add a punch of color to your room. Think about using masking tape to tape off a simple design such as stripes or a chevron pattern. You can also use multiple paint colors, all of which add pattern, texture and color to your room. 4. Windows are a great place to add extra seating and storage simultaneously to save space. Consider adding a window seat with a lid or hinged top to store items in such as your extra china, linens, clothing, crafts or photos. You can also create a window seat with built in shelves below for books or shoes. Take advantage of using an interesting fabric to make cushions for your seating to add a charming touch of color and pattern to your room. 5. Lastly, look for unused space in your home to reclaim for use. Under the stairway is always a perfect place to do this. You can add pull out shelves for hidden storage, built in bookcases or shelving or open up the wall to build in a small home office to fit a desk, chair and storage closet. The tips I have shared with you are all simple inexpensive fixes that you can do yourself. If you have any questions feel free to email me at info@juleeireland.com. Now that you have the tools to save space and declutter your home you are ready for wall décor! Next month I will share with you tips on how to create the perfect gallery wall in any room of your home using your family photos and art. Until then, love your home!